TC Quick Contact Form Module for Joomla is a simple and fast way for your visitors to get in touch with you. 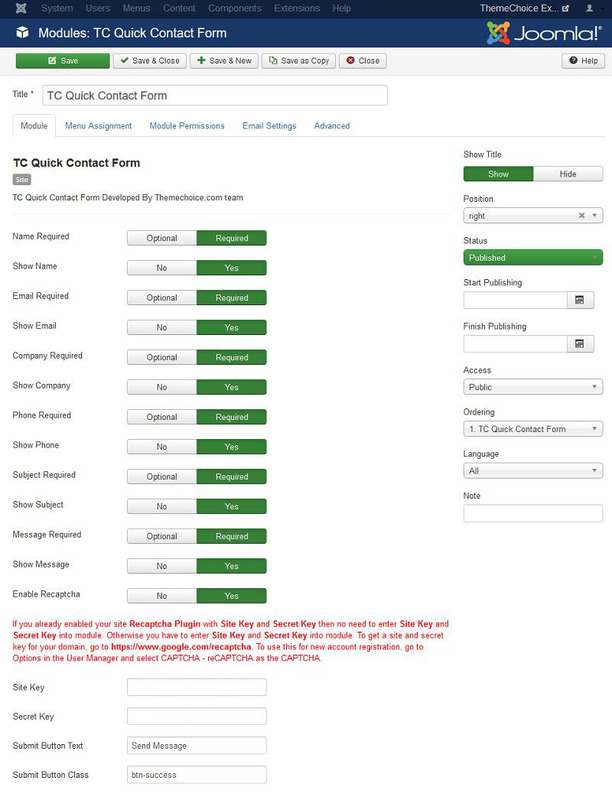 TC Quick Contact Form is a free simple responsive module that displays only the fields that you need for your visitors to get in contact with you. There are 6 fields that can be shown or hidden and you can set if they should be mandatory or not. Google Recapchta version 2.0 is built in to eliminate spam submissions. Use this module for basic contact, quote requests, demo requests, or any other contact where minimal information is needed up front to get leads. 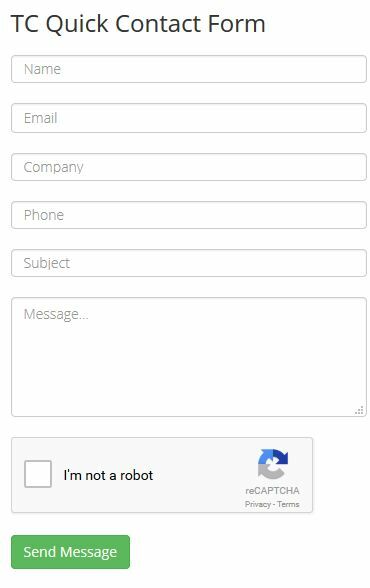 You can also set the email address where the form should be sent as well as carbon copy and blind carbon copies of the emailed form. You can easily style the form using your own submit button CSS class. There are also custom Thank You and error messages that you can enter your own text.